Angel Messages by Doreen Virtue for the week of April 20-26th! This week will be calmer, almost to the point where you might feel that things are moving too slow. Have patience in the divine timing this week, though, as it is purposeful and you are making progress. The beginning of the week sees you dealing with letting go and life change. Have faith that one door is opening as another closes. Remember also to continuously pray for — and accept — help from God and from other people. This new energy is all about cooperative teamwork . . . including cooperative actions honoring Earth Day this week, and honoring Earth every day. Notes: Filmed at the beautiful Ali’i Kula Lavender Farm on Maui. 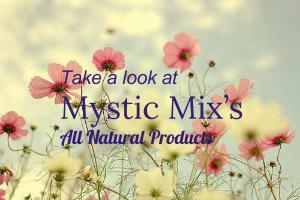 If you would like schedule a Reading or healing session with a Medium, Psychic, or Healer/Practitioner, check out our Mystic Mix Team or Directory and sign up today.